Current Mood Guadalupe Swimsuit is gonna bless that bod, bb. This sacred one piece swimsuit is super smooth ‘n stretchy perfectly accommodating those holy curves. 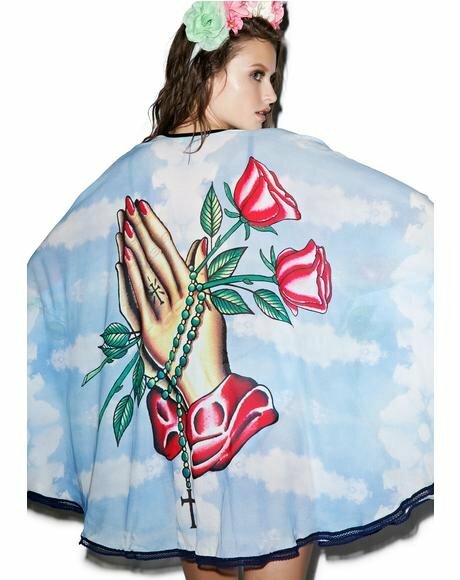 Featuring a dreamy cloud print, pretty portrait of the virgin of Guadalupe, contrasting trim and an open back with tie closure. Get ready for worship when ya step out in this stunning suit.